Virgin Australia/Virgin Australia Regional Airlines (VARA) and Alliance Airlines say they are willing to have the competition regulator monitor their charter operations in an effort to secure approval for a proposed partnership. In December, the ACCC knocked back the pair’s application for a charter alliance, which if approved would allow Virgin and Alliance to work together on joint tendering for corporate fly-in/fly-out (FIFO) contracts. 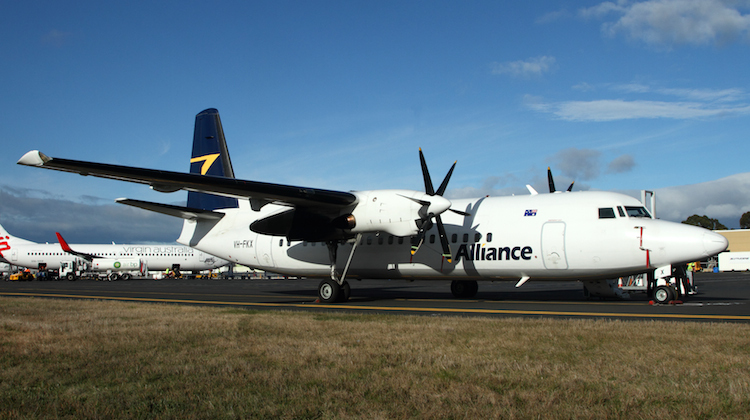 Virgin and Alliance argued the tie-up would also benefit charter customers through operational efficiencies, the increased flexibility and optimisation of aircraft utilisation through combining their fleets, and the bringing together of VARA’s (Virgin Australia’s) national regular public transport network with Alliance Airlines’ national charter network. However, the ACCC said it was not persuaded that these benefits would ultimately be a gain for customers and expressed concerns about the lessening of competition in the FIFO market in Western Australia. Virgin and Alliance said in response to the draft determination the “fundamental rationale for the charter alliance is to provide a superior, more competitive product to corporate charter customers and not to increase prices or reduce service levels”. To that end, the pair said there was “scope to monitor the impact of the charter alliance” during the period of authorisation. “Monitoring can include a review of performance metrics, such as average trip rates net of fuel, to see whether there is any material adverse movement in such rates over time,” the Virgin/Alliance submission dated January 27 and published on the ACCC website said. “This is a highly unlikely outcome, but in any event could be transparently monitored by the ACCC. Other metrics that could be reviewed include the cost of value-adds charged to customers and the gross margins on charter contracts generated by the applicants. Further, it was “not correct” to characterise the Western Australia market as being served by four operators, as the ACCC had in December’s draft ruling. “In fact there are currently eight established and capable operators in Western Australia, and there is historical evidence of both entry and expansion by smaller operators in this market,” the Virgin/Alliance submission said. The ACCC had said in its draft determination the proposed partnership would reduce the number of players in the market from four to three. Further, the ACCC said this would mean just two suppliers – Qantas and Virgin/Alliance – would be competing for the majority of FIFO services. There were two submissions to the ACCC following the draft determination. Mineral Resources Ltd (MRL), an Alliance customer, wrote in support of the proposed tie-up, arguing it “does no harm to real competition”. “We urge the ACCC to grant authorisation to the charter alliance in these circumstances where we see it as a net benefit to us and therefore to our FIFO workers,” MRL general manager for external affairs Gary Gray said in the letter, which was published on the ACCC website. By contrast, Newmont Asia Pacific, also an Alliance customer, backed the ACCC draft decision. “We strongly support the draft ACCC determination to refuse authorisation for the proposed charter alliance agreement on the basis that it would reduce competition for the provision of FIFO air services and lead to increased prices or reduced service levels, to the detriment of businesses like ours,” Newmont regional senior vice president Alex Bates wrote. Virgin and Alliance’s response to the draft determination noted informal feedback from customers suggested they held “overall a neutral position”. They said economic analysis from Competition Economists Group (CEG) concluded that operational efficiencies, which result in reductions in both fixed and marginal/variable costs, would “substantially be passed through to customers”.